When I think of people who have been an inspiration to me and many others throughout their lives, one who always comes near the top of the list is my uncle, Fr. Harold Diller, C.PP.S. Now that we are discussing a new creation, I recall that Fr. Harold helped with the heavy lifting in the early 1960s during the creation of three new provinces: Cincinnati, Kansas City and Pacific, from the former American Province. At that time, he was secretary of the provincial council and was fully immersed in the paperwork needed to form the three provinces. I remember him going to Rome over 50 years ago to make sure all of the many documents were presented in a fashion that helped gain approval for the division into three provinces. During my college years at the University of Dayton, I lived near Fr. Harold. He was also in Dayton, living at the provincial office as provincial secretary. I could speak with him on the phone often, since our regular phone calls were local and not long-distance. It was then that I became aware of the many people he had already come to know and serve in his life as a priest. Fr. 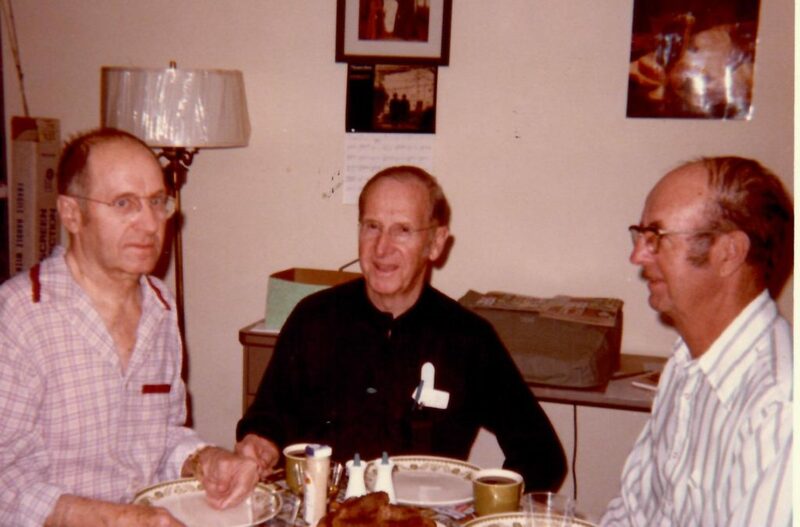 Harold was ordained in 1934 as a priest and a Missionary of the Precious Blood, and throughout his varied assignments, his was always a ministry of service and love, sharing God’s love wherever he was called. He began as an assistant pastor at Holy Family Church in Dayton, where he grew to love parish work. When asked to become an assistant to the treasurer of Saint Joseph’s College, he hated to leave parish life but learned to love his new surroundings in Rensselaer, Ind., where he stayed until 1941, the last three years serving as professor of music and choir director. For the next 20 years, during his assignments in various parishes and as superior of St. Mary’s Novitiate in Burkettsville, Ohio, he seized the opportunity to get involved with the Catholic Rural Life Conference, Marriage Encounter, and retreat work. He marveled at the power of God’s love as people came to look to him for wisdom, hope and strength. He also became a beacon of light for us, his family, as he joined our gatherings and celebrations. In 1965, he was appointed rector of Brunnerdale, the Missionaries’ high school seminary. At Brunnerdale, he had the opportunity to provide encouragement and support to the young men attending the school, and it became apparent that being a cheerleader was God’s planned role for him in this life. Fr. Harold’s mission became quite clear to all, as he fully embraced the life as a Missionary of the Precious Blood, living the life St. Gaspar preached about to his followers when he said he wished he had a “thousand tongues” to praise all things of the Lord. Fr. Angelo, C.PP.S., listening to Fr. Harold Diller, C.PP.S. I remember him as one of the most caring people I have ever known. Regardless of who you were, the color of your skin, or your status in this life, he treated people as though they were special, simply because they were created in God’s image. 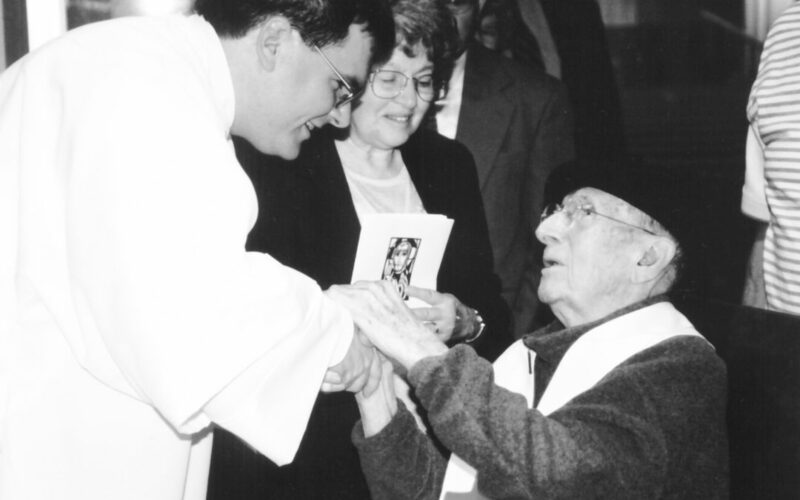 In 1976, when many would be considering retirement, he decided to join his priest brother, Fr. 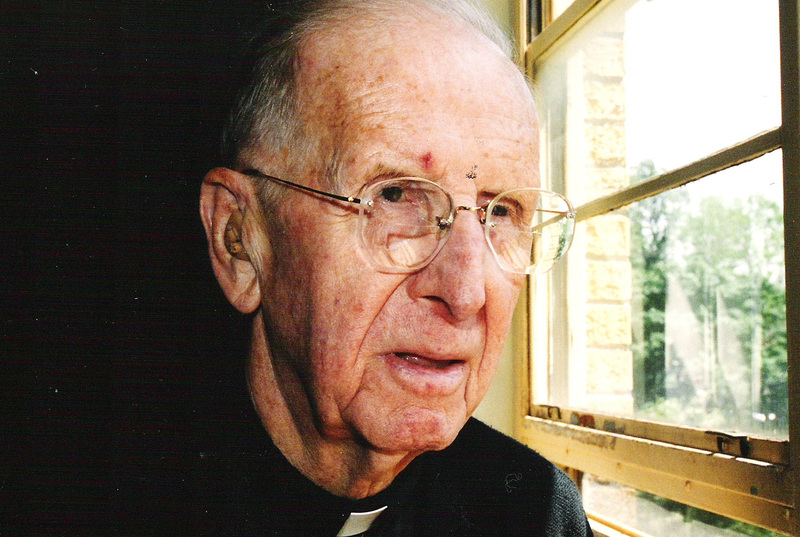 Otto Diller, C.PP.S., who was disabled with rheumatoid arthritis and was serving as chaplain at Lourdes Hospital in Paducah, Ky. You might say Fr. Harold then began his second career. He and Fr. Otto joined forces to provide ministry to the sick and dying as chaplains at Lourdes Hospital. Fr. 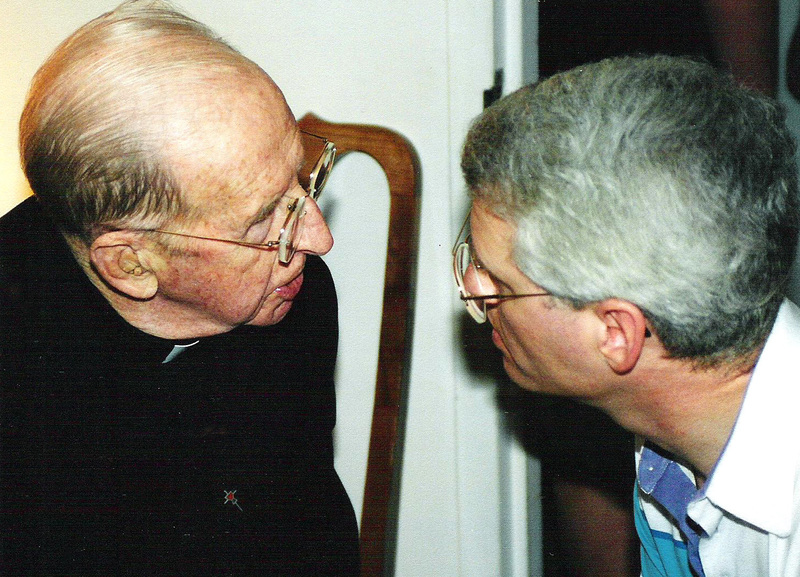 Denis Rumschlag, C.PP.S., and Fr. Harold Diller, C.PP.S. They became known as the “Diller Boys” and spread God’s love throughout Paducah, where Catholics were a small minority. During that time, Fr. 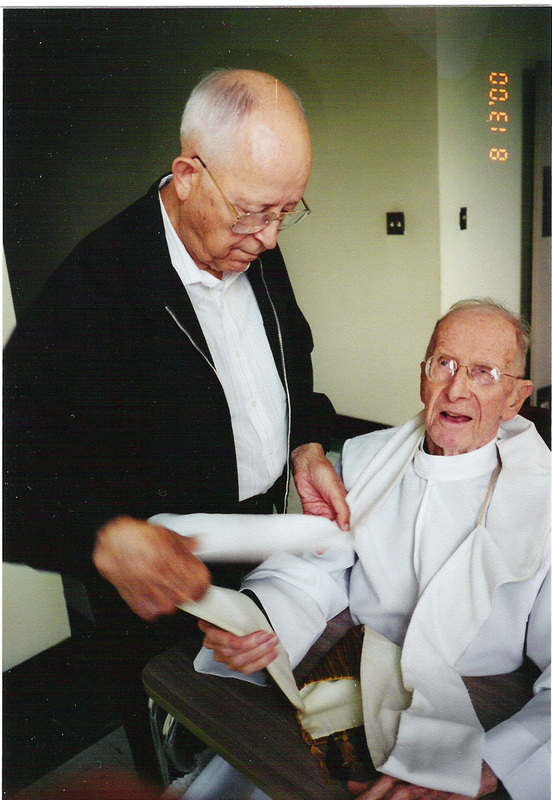 Denis Rumschlag, C.PP.S., and Fr. Harold Diller, C.PP.S. Fr. Harold also served as pastor at Rosary Chapel for eight years. When Fr. Otto died in 1981, Fr. Harold remained in Paducah until failing eyesight forced his retirement to St. Charles Center. After retirement, he became one of the early proponents of the Companion movement, offering constant encouragement and support. Instead of trying to figure out just how it should all work, he welcomed Companions to join with the Precious Blood Community, enjoying the company of as many people as possible on the journey St. Gaspar envisioned. Fr. Harold’s was a journey of love. He could, at the drop of a hat, become a sermon for all to behold. In failing health, Fr. Harold joined the powerhouse of prayer at St. Charles and, until his death in 2003, continued to help people feel appreciated and affirmed. Although he was physically blind, Fr. Harold’s well-developed spiritual vision saw each person as God’s special creation, and each person knew he fully meant it. As I reflect on it now, we are all made in God’s image, so how could it be seen any other way?